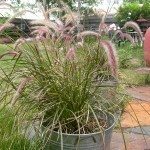 I bought a tub of red fountain grass and forgot to plant it. It died in the container or so it looks. Is it just plain dead or can I still plant it to come up next year? How long had it been neglected? If it wasn't too long a period, there is a chance that a good soaking will revive it (though right now it should be entering its dormancy period). 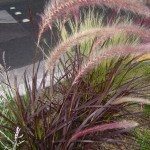 Unless you live in a relatively warm climate, planting it outdoors will only kill it, as these plants are warm-season grasses and do not tolerate cold. In fact, in cooler climates, they are often treated as annuals or overwintered indoors. You could try watering the plant and leaving it be (indoors) over winter (watering once a month) and put it outdoors in spring to see what happens. Unfortunately, you might need to replace it in the event that it doesn't show signs of life.